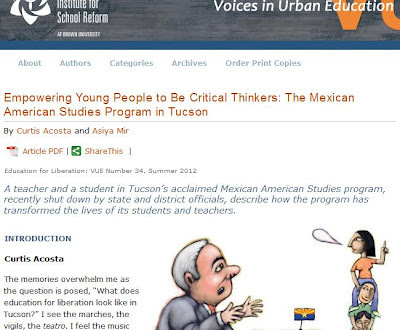 "Empowering Young People to Be Critical Thinkers: The Mexican American Studies Program in Tucson"
A teacher and a student in Tucson’s acclaimed Mexican American Studies program, recently shut down by state and district officials, describe how the program has transformed the lives of its students and teachers. The memories overwhelm me as the question is posed, “What does education for liberation look like in Tucson?” I see the marches, the vigils, the teatro. I feel the music and voices of youth expressing their own view of the world through their art. A collection of powerful and poised faces of former students quickly flip through my mind, as they assertively and respectfully challenged the misconceptions and agendas of powerful political figures in Tucson and Phoenix. Along with them, I see the uncomfortable expressions of those políticos as they were held accountable to their constituency, to the voices, passion, and dreams of our youth. 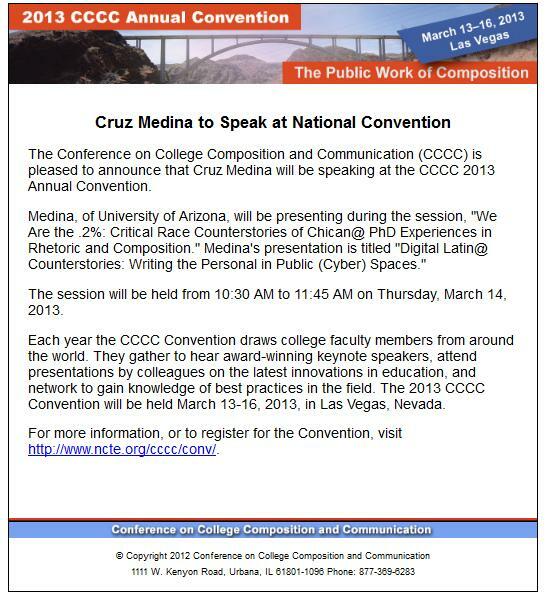 For those of us who have struggled to save ethnic studies and Mexican American Studies (MAS) in Tucson, these occurrences have become a part of a beautiful tradition of education for liberation that is handed from one cohort of students to another and will change our community forever.